Having dealt with Rheumatoid Arthritis - an autoimmune disease in part one of this topic, we will now deal with the second popular grouping under which the ailment arthritis falls – Osteoarthritis. At this point it is important to note that at the extreme, arthritis could actually degenerate to a debilitating, even crippling disease. We all therefore need to take this matter very seriously experts warn. 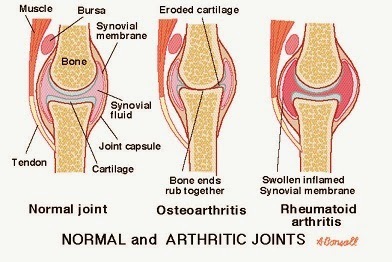 And so on the other side of arthritis, Osteoarthritis is caused by wear and tear of your cartilage; at first it will seem to affect the patient on isolated joints on only one side of the body within the adult age group of 40 and above. It is a chronic breakdown of cartilage in the joints; the most common form of arthritis occurring usually after middle age. Discomfort might also be much sometimes, but usually will not be accompanied by swelling of joints. Distress will mostly be felt around the weight-bearing joints such as the hips and knees. Morning stiffness is usually very brief but not with general weakness as is the case with rheumatoid arthritis. It is also important to point out that Osteoarthritis is the most common type of arthritis that afflicts patients all over the world, and that there are two forms of the disease that we know about: The Primary form of the disease usually affects the fingers, neck, lower back or what is generally referred to as lumbago; it affects also the knees and hips. In as much as the real cause is not too well known, it is however clear that obese or overweight people tend to suffer from it more often due to the pressure or burden of weight borne by the affected joints. On the other hand, Secondary Osteoarthritis is a form of arthritis that develops due to trauma emanating from prolonged or frequent repetition of particular actions upon the concerned joint(s). For instance, a weightlifter may suffer trauma leading to an inflammation of the shoulder joints and knees; also I have seen keyboard players or pianists who have suffered arthritis of the fingers because of the trauma experienced by the joints of the fingers, and experts easily attribute this to the action of playing the instruments. Factory workers obviously are by default exposed to the hazards of repetitive lifestyle considering the nature of their work. The continuous movement of these joints in the same way or direction may lead to the consequent unremitting strain and erosion of the joints. Your cartilage serves as a shock absorber, but with such monotonous and repeated activities, your cartilage continues to experience uncontrolled wear and tear hence the excruciating pain that may result. And so to remedy this condition you need urgently to take care of your cartilage. Drink plenty of Water: You can both prevent and treat or recover your cartilage by the simple act of drinking lots and lots of water. This makes sense when you discover that your cartilage is made up of 80 per cent water. Synovial fluid seeps in and out of your cartilage which behaves like a sponge during (pressure) activity and rest; and so it becomes very important that you drink up to at least 2 or 2.5 litres of water each day. This will go a long way towards replenishing the synovial fluids which lie between and around the cartilage. Take proper Nutrition: Try to identify food triggers that may also be contributing to your pain. When you have done this, the next thing to do will be to as much as possible reduce or eliminate these harmful foods from your diet. Most of these foods are foods that contain omega-6 fatty acids or most of the fatty acids or oils found in saturated fats and animal products such as red meat, pork, egg yolk, poultry, and all dairy products with the exception of non-fat dairy foods. These harmful fats are known as arachidonic acid or (fat), and have been associated with the promotion of inflammation. Also, margarine and some plant oils are equally culprits in this regard. Some of the Omega-6 (fatty acid) stuffed plant fats that may add or cause you to experience inflammation are such as – safflower, corn and sunflower oils, etc. But you are advised to stick to extra-virgin Olive oil which is one of the best edible oils available. Olive oil is the basis of the world acclaimed Mediterranean type diet that is associated with great health and longevity among the people that live around the Mediterranean Sea. You should also as much as possible reduce or avoid fried foods while turning to healthy fats and products that are rich in monounsaturated fats which are present in almonds, avocados, macadamia nuts, canola oil. Be sure to consume more of foods rich in Omega-3 fatty acid found basically in oily fish and sea weeds. Fishes rich in Omega-3 fatty acid are such as – Salmon, Mackerel which is locally referred to as Titus in Nigeria; the various species of Herring – also known as Kote among some Nigerians; Tuna, Sardines, Trout, etc. But if you are not able to consume a regular handsome dose of these, then you may wish to purchase good Omega-3 (fish oil) supplements to use. 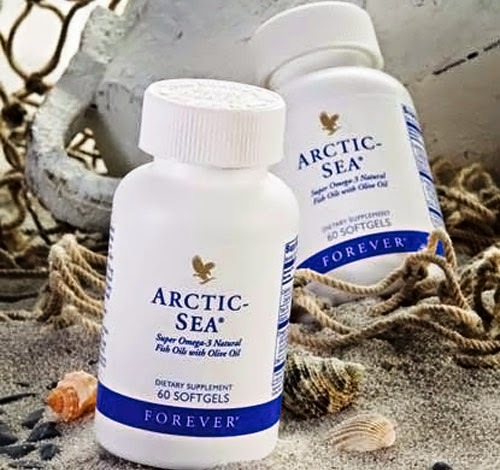 According to reports by the Mayo Clinic, studies have shown that morning stiffness and joint pains are greatly relieved for patients with rheumatoid arthritis when they take fish oil supplements. The same benefits have also been seen when the fish oil is given through an IV. “Fish oil has been found to have effects on the immune system and on fats in the blood in people with rheumatoid arthritis,” the report stated. There are herbal remedies that work to ease arthritis pain a bit. For example, guyabano leaves (soursop leaves) help.